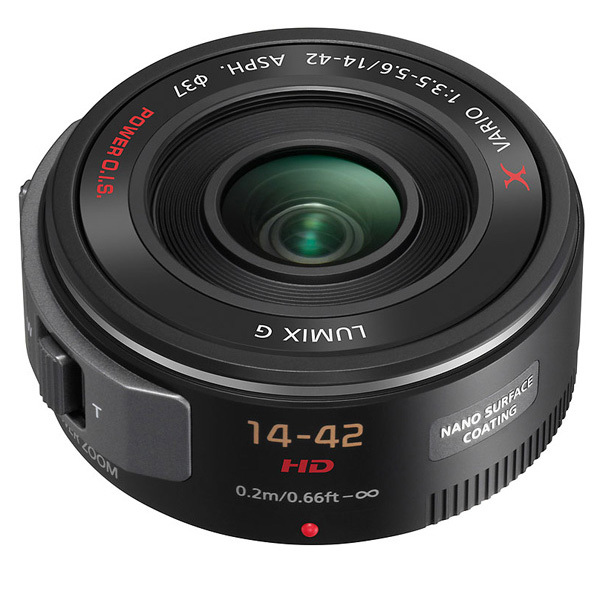 Premium Lens DesignThe new LUMIX G X VARIO PZ 14-42mm/F3.5-5.6 ASPH./POWER O.I.S. lens offers a versatile zoom range of 14-42 mm (35 mm camera equivalent: 28-84 mm) suitable for a wide range of scenes from dynamic landscape to portrait. Comprising of 9 lenses in 8 groups, the lens system features excellent contrast at entire zoom range. The inclusion of 4 aspherical lenses that helps achieving the downsizing of lens unit also improves optical performance by minimizing distortion, even at the 28 mm wide end. The 2 ED lenses effectively compensates for the chromatic aberration. The POWER O.I.S. 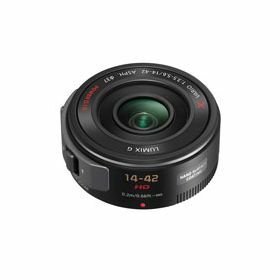 (Optical Image Stabilizer) which is newly integrated in the LUMIX G X VARIO PZ 14-42mm/F3.5-5.6 ASPH./POWER O.I.S. makes it easy to shoot super clear shots even in low-lit situations such as in night time or indoors. With the improved sensitivity of the gyro sensor, the new POWER O.I.S. suppresses large, slow movement 2x more effectively**. *When the lens is retracted. ****Measured with DMC-GF3. The time required to start exposure after the shutter button is fully pressed after the lens position is moved from "infinity" to "2m". The zoom position is at wide-end. The firmware of the GF3 must be updated to Ver.1.1 or later. Panasonic measurement method.